Kite is a popular games or that has existed since antiquity to the present. Kites are usually made of paper or plastic and has a frame which is usually made of bamboo. 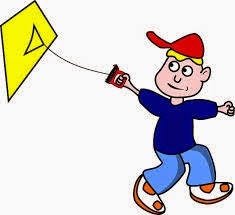 Easy Way to Fly Kitesplaying kites Kites need wind to fly a kite and fly it tricky. The biggest factor that makes the kite flying is aviator kite, kite frame and of course a great agin. Here's a tip or a way so that when we fly a kite, kite-layangannya can fly high in the sky. Flying kites can not be done in any place, we have to find a large and wide, because in a large kite gets maximum winds and large so that the kite is easier to fly. In addition to a spacious place we also have to find a place that is free of obstacles. The meaning of the freeway here is a good place for us while flying kites is when we fly a kite, kite we will not be caught on something like trees, power poles do not also play on the highway because it is very dangerous. The beach and the mountains are an excellent place while playing layngan because the wind in both places large enough so that the kite is easier to fly. The definition of a good kites are kites that have good aerodynamic shape, the framework which is not too big and heavy, made of material that is easy to fly. 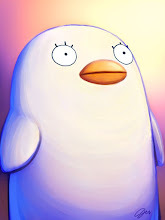 If the kite that agan have is a small kite or regular use yarn suitable for him that thread used to sew and do not use the thread used to measure the building. time flying kites are sure to play well when the wind is the wind that are large usually appear after 12 pm when the wind that are large-magnitude. Not only fly a plane that requires skill, kite-layangpun requires good skills are good examples of skills that know how to play, know how to roll up the thread quickly, know the direction of the wind, know the right time, the right thread and many other things. Similarly, I hope that by flying kites above can be useful for agan and basically we just have to keep trying until success mencobadan it comes.